Food as art has long been of interest to us, but the overuse of doughnuts, macarons and the rest has dulled our excitement somewhat. 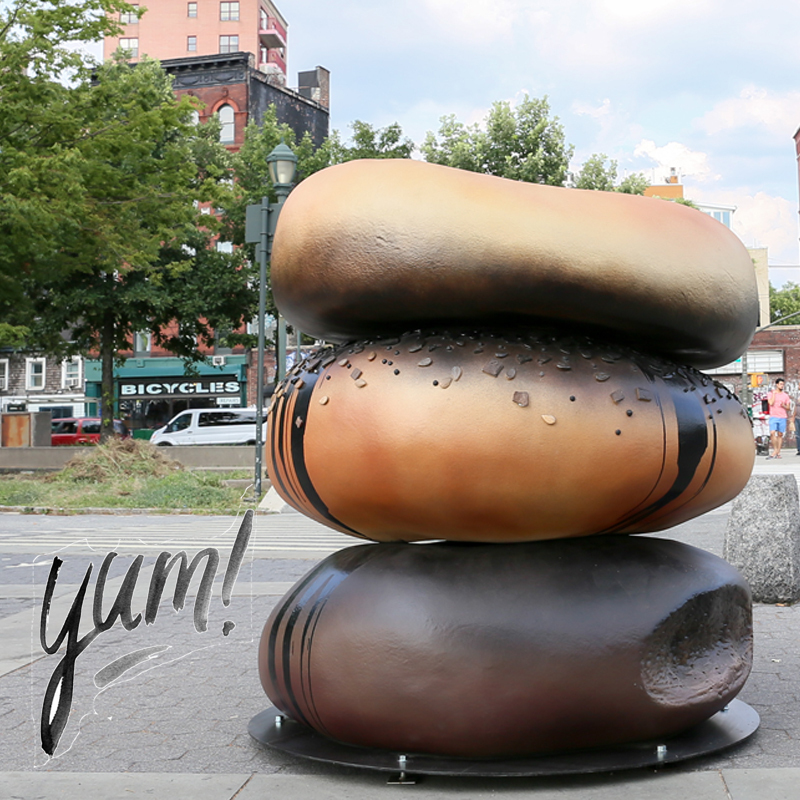 This past week, however, our excitement was very much reignited with Hanna Liden’s Everything bagel sculpture, installed at various locations around New York City. Liden was inspired by the bagel as a native New York food, as well as its shape. “A circle with no beginning and no end—is evocative of the eternal cycle of city life. The black spray paint is a romantic tribute to the darkness and grime, which are essential and beautiful characteristics of our city,” she told ArtNet. There’s a bunch of different flavor bagels, including our own personal favorite: the sesame seed bagel, and naturally, there’s an everything bagel too. The best part? You can buy miniature cast bronze versions at the Art Production Fund store right now. We’ve never wanted anything so much in our entire lives. 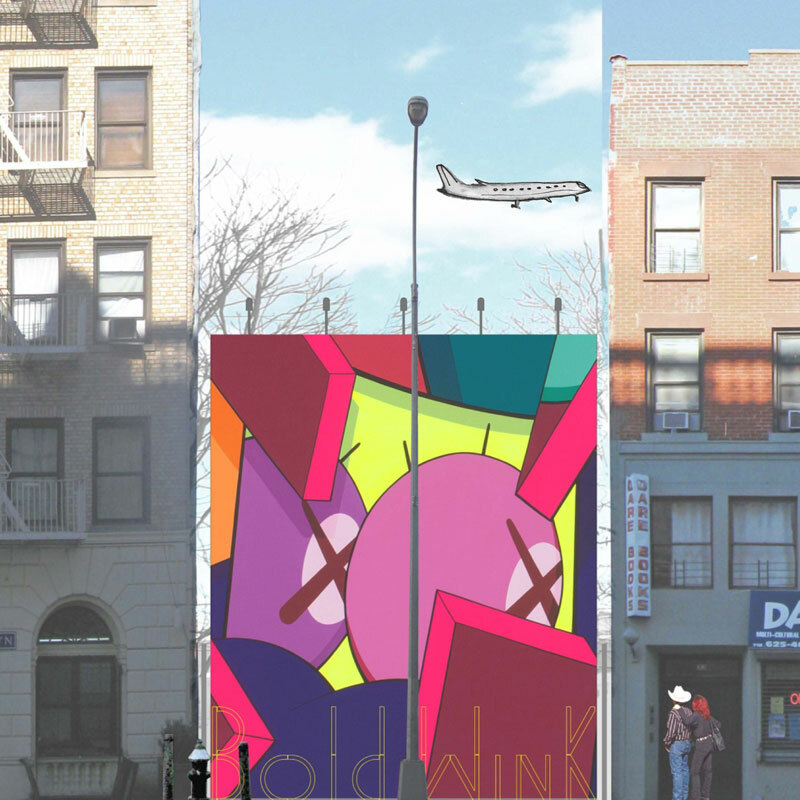 Everything by Hanna Liden will be on display at Hudson River Park from July 20–October 20, 2015 and Ruth Wittenberg Plaza from July 20–August 24, 2015.